A frozen and frosted loch on a mid winter morning near Lochinver. 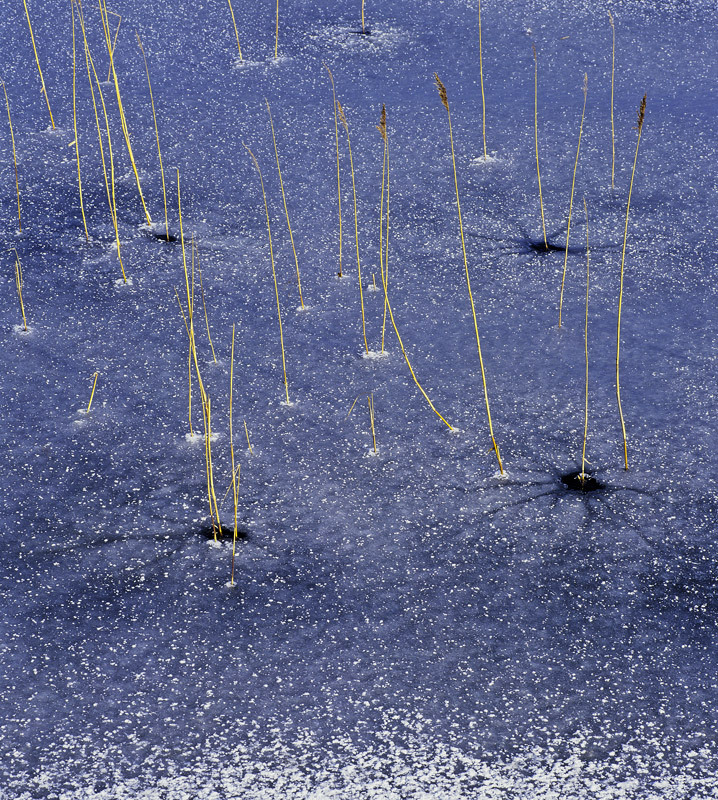 There was no wind not even a breath and the yellow reeds that thinly covered the perimeter of the lochan stood stiffly to attention frozen into position with their feathery tops unmoving. The reflected blue sky on the frozen surface juxtaposed with the dead yellow spindles of the reeds made an ethereally beautiful and delicate composition that very much appeals to me showing the calm serenity of another beautiful winter morning in Scotland.